Overall we are happy. The turkey was well cooked and not dry. The other dishes were all of good quality too. When we peered into the window of Loyal Dining we saw a bustling place packed full of Hong Kongese - a multitude of different nationalities all chatting and chomping away. We were immediately sold on Loyal Dining from then on in! We were greeted by the fab Emily Chan who is the front of house at Loyal Dining. Emily runs a really smoothly operated ship, she made us feel extremely welcome and helped us 'newbies' navigate the menu with aplomb. We had WONDERFUL dim sum, succulent Szechuan Chicken and a local desert that Emily recommended. Coming from Dubai we were so excited that a local place like this served wine and served really decent wine too. Everything was washed down with a really decent gulp of Sauvignon Blanc. 200m from LKF, we visited Loyal Dining a few times over our trip. Derived from an "East meets West" concept, this is HK classic dining "infused with the unique history and traditions of HK" (extract from the menu)... Food & service each time was excellent. Diverse and well-considered menu, The Loyal flat fried noodels with sliced beef in sweet soya sauce (HK108) was typcial of the dishes and very tasty. The dumplings, spring rolls and steam buns were a 'must-have' and we always ordered seconds of these. Highly recommended for good quality food & service - and a great location in Central. We have been to Hong Kong for decades and a stop at Wellington street was always a must to sample really good HK fare. Stopped by Loyal for lunch for the very first time and we were pleasantly surprised! We ordered a variety of dishes off the dim sum menu and a couple off the main menu. The dim sum dishes were as good as any I have tasted in other fine dinning establishments and at a more reasonable price! Will certainly stop by again!! Tip: the chicken feet was delicious and so were the barbeque pork buns. The Pork ribs soup is authentic with a strong medicinal anise seed flavor. Wash your meal down with fresh coconut juice! Had lunch with my mum on Mother's Day, enjoyed some dimsum and the best of all is their roasted pigeon. It's very delicate and juicy, unlike what we have had before in other restaurants which are relatively dry. Loyal surely have the best roasted pigeon in the area. Looking forward to try more classic dishes upon my next visit. 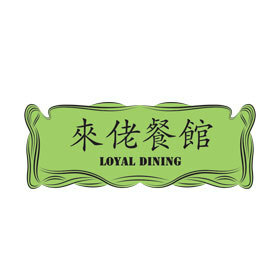 I chose Loyal Dining because it is close to the hotel we stay on Wellington Street in HK, it looks very nice from outside, and the menu seems to be rich of choices. I did it against some of the recommendations in TripAdvisor (which I seldom do) and I am very happy for the choice. All was close to perfect at the dinner tonight. Service was attentive, good English was spoken and understood, and everything was prepared at best. It may be more expensive compared with some of the neighboring restaurants but it's certainly worth the money, especially for the non-local persons who have trouble communicating or with the style of service in other restaurants in HK. My friend came from UK for a visit this summer! He stayed at central so we decided to find some restaurants near his hotel. Loyal dinings location was very easy to find and because its at central, it was easy for us to travel to lots of other places afterwards and took us little time to get there. My friend and I were both very satisfied with the Dim Sum meal and the service! The price was not bad either, which was a big plus. The design of the place and the music was very comfortable which set a good atmosphere for a nice dinner. I would definitely come again and would recommend others to go for a nice classy chinese meal.